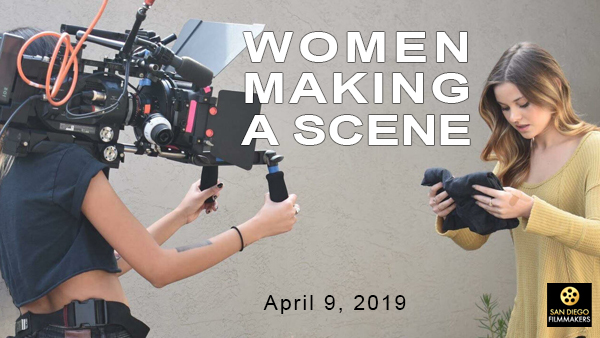 Women Making a Scene is giving aspiring female filmmakers around the world an opportunity to jumpstart the development of an original film. Hear all about it from the producers. The goal is to make a big step in the direction of gender equality in media. By hosting a collaborative film competition that supports women in leadership roles behind the camera, WOMAS is presenting filmmakers across the globe a chance of winning a legitimate budget to produce their own feature. The prize is currently over $30,000 and goes up with each registration. In order to enter the competition, each participating team must have a woman in a leadership role. Once a team is assembled, their objective will be to submit one scene from a feature film concept, along with a short pitch video. This pitch video will give the filmmakers a chance to sell their film idea just like they would to a Hollywood executive. Women Making a Scene will provide these creators a chance to showcase their own unique film with a larger window of time and no creative restrictions. Fifteen scenes will be chosen by a panel of judges to be shown at the WOMAS premiere event in July of 2019. The winning team will be awarded the grand prize budget to begin production on their feature film. Visit the Women Making a Scene website to learn more about the contest and/or register. Tyler French is the Founder of Future Loon Productions and the Owner of Hangar B Studios in San Diego, CA. He is a forward thinker with a passion for community building events. Tyler is passionate about gender and racial equality within the film industry, and understands the power of narrative film in shaping world views. His vision for Women Making a Scene is to provide a change in the way film competitions and festivals operate; one that is inclusive and celebrates equality. Kimmy Weinberger is the Production Manager at Hangar B Studios and a teacher at Los Angeles Acting Studio SD. In addition to working behind the scenes, she is also an actor on both stage and screen. Through her personal experience, she understands the importance of advocating for women's rights and gender equality in the industry. She is incredibly passionate about female representation both in front of and behind the camera. She is confident that Women Making a Scene will help integrate more dynamic stories, for all genders, into filmmaking.